Prasanna Simha leads Wipro Infrastructure Engineering’s Global Operations for the Hydraulics and Aerospace & Defence businesses globally. He joined Wipro, four years ago, after working in the automobile industry for over 27 years in the production engineering, operations, and supply chain management functions. During this stint, he has set up a green-field manufacturing project in Indonesia. 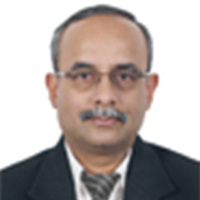 Prasanna is responsible for Operational Excellence, Customer Satisfaction and Profitability. He has reduced inventory, streamlined production. A Mechanical Engineering graduate, he also has a post-graduate degree in Manufacturing Systems Engineering from the University of Warwick, UK.